Into Print charges a one-time fee to create the master pages (PDF files) for your book, working with you until you are completely satisfied. We print copies of your book in the UK when an order from a bookseller originates in Europe (e.g. Bertrams, Gardners, Waterstones, amazon.co.uk, amazon.fr, Bol.com, Easons, WH Smith); and in the USA when an order originates in North America (e.g. Barnes & Noble, Ingram, amazon.com); and in various other print factories around the world to fulfil local demand, including for non-English language titles. Into Print pays you all of the revenue from each sale, charging a 10% (of print cost) handling fee. Into Print delivers your author copies to you at print and carriage cost + a 10% (of print cost) handling fee. We pay you in your local currency e.g. Euros, dollars, Krone etc. You can pay us from any bank account with minimum fuss. Our distribution department supplies metadata about your book to the major bookseller databases so your book will appear on booksellers’ lists, and web booksellers’ web sites worldwide. We list non-English language titles with relevant country booksellers. Your book will appear on all of Amazon’s sites worldwide, on Barnes & Noble in the US, Booktopia in Australia, Book Depository in the UK (often with free delivery worldwide) as well as being available from independent bookshops and chains. Wholesalers such as Bertrams, Gardners, Coutts (all UK) and Baker & Taylor (US) receive comprehensive details about the book and a cover image. Into Print submits books to Google book search and Amazon ‘Look Inside’. 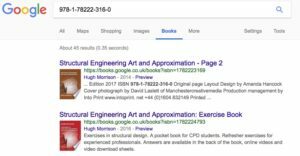 Google indexes your entire book so that anyone searching for keywords and phrases that appear in your book will be shown your book in their search results. Google handily shows the main book retailer websites where your book is on sale. Amazon’s Look Inside is this bookseller’s way of letting readers ‘flick through’ sample pages from your book. The Amazon computers have long experience of which pages to choose to display to readers to give them the best idea of what your book is about and to tempt the readers to buy. Into Print will, on instruction from the author, create and publish an ebook in Kindle format to appear alongside the print edition on Amazon. There are many ebook selling platforms and Into Print can advise on the best distribution strategy for your particular book. It may involve publishing on a single platform or creating EPUB editions for various platforms such as PLAY, iBooks, Kobo or the Microsoft Book Store. As the author, you retain copyright and ownership of your book. Into Print becomes your production and distribution department. 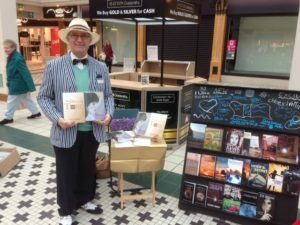 Into Print will advise on how to publicise your book and how to get in touch with bookshops that specialise in your book’s genre or subject matter, are local to you or are amenable to hosting a book launch.